Last year, Stranger Things skyrocketed to popularity thanks to its liberal use of '80s references, from E.T. to The Goonies to Devo to everything in between. But a much earlier reference plays critical role in the second season of Netflix's hit: Phineas Gage. No, he's not the villain of Stranger Things Season 3. His story is much stranger. In Episode 3, "The Pollywog," Dustin comes to class late because he found a tadpole-like creature he names Dart. He rushes in as Mr. Clarke, one of the most committed public-school science teachers of all time, explains the story of Phineas Gage, sometimes known as the "American Crowbar Case." It's the kind of story that has a home in virtually every high school class, and could be dismissed as mere background noise were it not such a famous -- and relevant -- case. Gage was a railroad foreman who in 1848 had an iron rod completely driven through his brain in an unfortunate, accidental explosion. The puncture destroyed a significant portion of his left frontal lobe, though miraculously (especially considering the medical capabilities of mid-1800s physicians) he survived, thanks in large part to the treatment of J.M. Harlow, one of the few doctors of the time to have any experience treating brain injuries. But you don't need to be a neurosurgeon to guess that having an iron rod impale a person straight through the brain might have lasting complications. After the accident, Gage became a minor celebrity just for surviving and retaining functionality. He could still speak, move, and seemed to exist as Phineas Gage. Soon, however, Dr. Harlow claimed people close to Phineas said he was "no longer Gage," and went on to say that he became difficult to manage, profane, irritable, and impulsive. Of course, you would probably be all those things if you'd had an iron rod shot through your brain, but at the time, it was groundbreaking to associate specific areas of the brain itself with personality. Gage eventually returned to work and even traveled to Chile, but the injury took its toll -- it caused epilepsy that took his life at age 36. He lives on as an one of the most remarkable medical cases in recorded history... but what does any of this have to do with Stranger Things? Well, if you're paying attention, you may have noticed that something isn't quite right with Will Byers. Apparently all that time in the Upside Down really screwed with him, and now he's having frequent flashbacks that put him back into the parallel dimension, where the Demagorgon and all kinds of monstrous, vine-like shadow tentacles live. Following the bad advice of his mom's new boyfriend, Bob (Rudy! ), Will turns and faces the giant, ominous creature that's been haunting him. That plan backfires, and he gets shot full of Upside Down tentacles. Will begins behaving strangely -- the warm bath Joyce draws for him is too hot, he says, but then cryptically says it likes it cold. 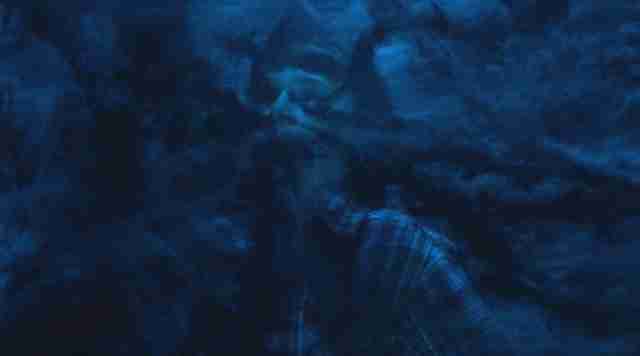 He eventually begins to lose his memory; in effect, he is becoming "no longer Will." And that's in many ways more terrifying than losing a loved one in an accident. 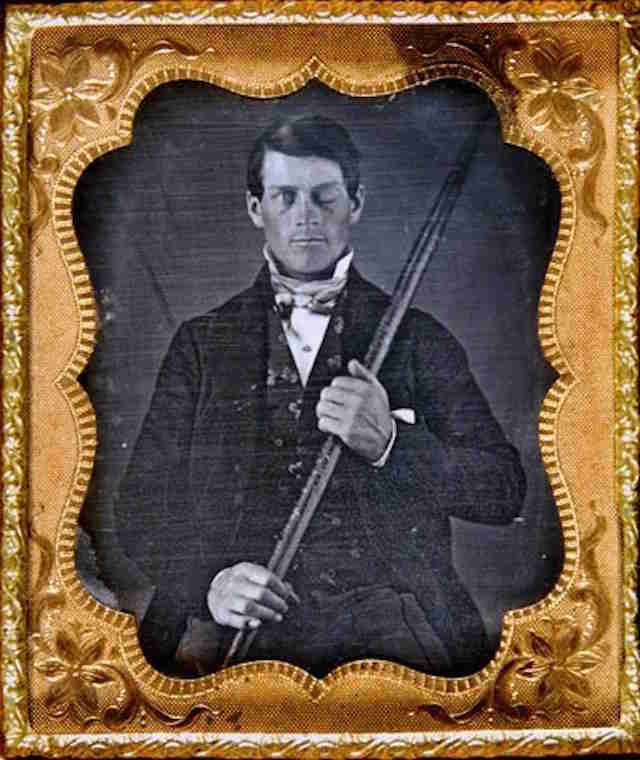 Had Phineas Gage died, for example, his family likely would have been grief-stricken, but the pain of seeing a loved one return as a different person altogether can inflict a longer, deeper kind of trauma on those who knew the person before. 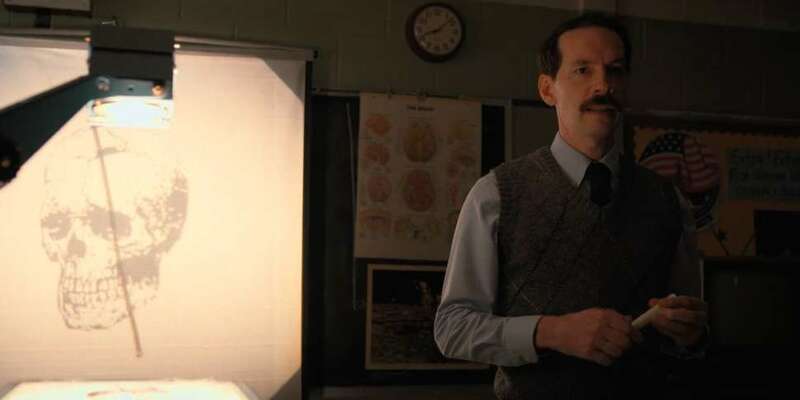 In this way, Will's initial diagnosis of post-traumatic stress disorder, and the repeated references to it, draws a similar parallel that makes Stranger Things more contemporary than it may appear at first glance. We know now that soldiers returning from combat, for example, may have escaped without any physical wounds, yet have unseen mental trauma that can cause long-term damage and even change their personalities permanently. Later in the season, Will's mom, Joyce (Winona Ryder) frantically asks what will happen when he can no longer remember anyone around him. Paul Reiser's Dr. Owens doesn't offer any good answers, and, without getting too spoilery, it becomes quite clear that though they have successfully identified the cause of Will's mystery illness, this new knowledge hasn't helped them find a cure. It's worth remembering that while Phineas Gage's short remaining years were lived as a shell of his former self, his case singlehandedly moved medical science forward by years, perhaps more. One of his legacies, beyond increasing the understanding of the role specific areas of the brain play in personality, is fundamentally changing how people recover from traumatic brain injuries by showing that people could return to society even after suffering life-altering damage. 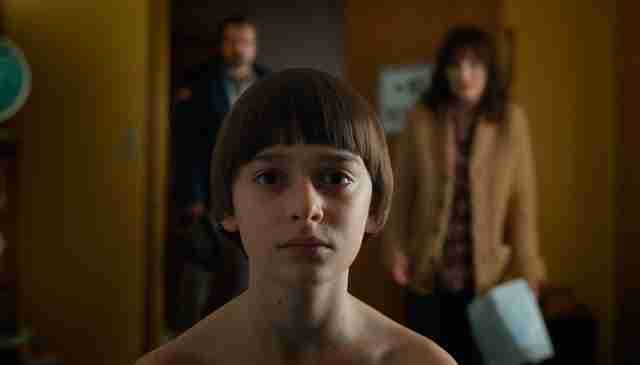 Perhaps Will Byers serves a similar function; he may never return to his pre-Upside Down self, but maybe his case can help Hawkins beat back whatever kinds of hellish plans this other dimension has for the town. Instead of the "American Crowbar Case," he could live on as the "Hawkins Demagorgon Case"... assuming anyone lives on at all once the Upside Down swallows up everything in its path.